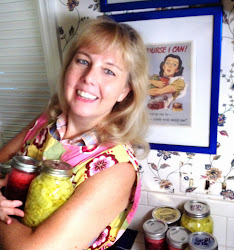 I have a confession: Along with many other sustainable living experts, authors, and bloggers, I'm guilty of making it sound like sustainable living can be broken down into a lot of little projects, with a huge focus on gardening, food preservation, and vintage-style domestic arts. This is true, to some degree. But, if you don't take a systemic view of your lifestyle, you may find that you have simply changed your daily activities without making a noticeable improvement in your life. Remember our fundamental purpose: sustainable living means responsible use of resources. Resources include food, clothing, land, environment, time, money, health, or anything else that you may have a demand for that exceeds the supply. To that end, I thought it might be useful to share the overall structure of my year, which I divide into three "seasons." The winter months are cold and dreary around here, and, as you are probably painfully aware if you have been reading this blog for any amount of time, I am not exactly a cold-weather person. Therefore, I find it helpful to throw the majority of my energy behind projects that maximize my income, since it's too cold outside to do much in the way of gardening. Work on as much writing for Hilltop Communications as possible. Take on extra teaching assignments. This winter term, I taught eight credit hours of classes in addition to my primary writing biz. Add photos to the Cucumber Key Photography web site. Continue to sell and work on restocking the Carrot Creations store. Do non-vegetable canning, like stock from meat bones. This is my favorite season. Nearly every day brings time in the garden, and I have more time to work on various projects. During this season, I focus on projects that will either generate income or save time or money in the coming months. Keep the garden in full production. 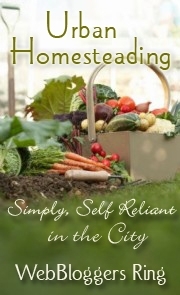 Make as many meals as possible from primarily garden products, reducing expenditures for food and improving health. Preserve as much food as possible, reducing future food bills, speeding future meal production, and improving health. Buy food I don't grow at the farmer's market, with lower in-season prices. Preserve any extra. Institute energy saving projects, like drying laundry on the line, using passive solar heat to warm the house or open window to cool when possible, and taking advantage of long days to avoid using lights throughout the house. Work on writing projects that will sell year-round, for a passive income stream. Right now, my focus is on my book-length projects. Continue to maintain regular writing and photography work. Split wood for fall home heating, when there are many days we can heat exclusively or primarily with our wood stove. Continue to stock the Carrot Creations store. Catch up on seasonal home projects that weather or time constraints will make impractical later, such as weatherproofing, necessary home improvements, or even just washing and line-drying all the quilts and bedding in the house. Conduct "expenditure audit," looking at things like cell phone plans, video streaming service (Netflix) useage, gym memberships, and the like, and cancelling or altering the things that no longer fit our needs. I've been in academia so long that I almost reflexively think the year begins in September. This is the season that many of the projects I've worked on all year pay off and I have time to think about the next cycle. Process orders in the Carrot Creations Christmas rush. Crochet like a mad woman to continue to keep existing stock in the store as high as possible by replacing items as they sell. Plan meals around canned, frozen, and still-growing garden products and other such preserved food (like chickens purchased "in season" over the summer at harvest time). Attempt to keep grocery bill low by relying on food in stock. Pick up teaching load again. Typically, my fall semester load is lighter than my winter/spring one, but that can change according to need. Continue to write and photograph. Institute heat-saving and -generating measures around the house, like use of the wood stove, venting the dryer inside, using passive solar heat, and getting those freshly sunned quilts out of the closet. Generate ideas for future writing projects. Keep a OneNote file on each so that I can work on them year round as time permits. Focus on non-food sustainability projects like rebatching soap. And that's the system. Is there a project or practice you'd like to see me detail in a future post? Let me know in the comments or on the Facebook post. Feeling awesome after seeing your post on public . Well-done for this post . Fast, Cheap, and Good: Sustainability, One Choice at a Time Nice Post. Fantastic post. Thanks for share it.